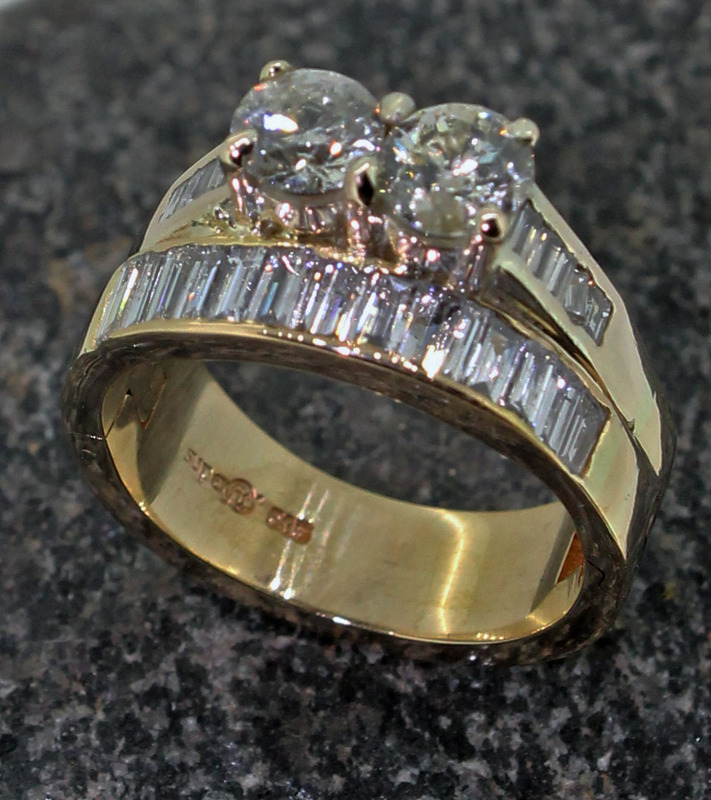 Since a ring has to be large enough to pass over your knuckle first, it is often too large for the base of your finger and will roll or turn when worn. Finger sizes change with the weather, the time of day, physical activity and the seasons. 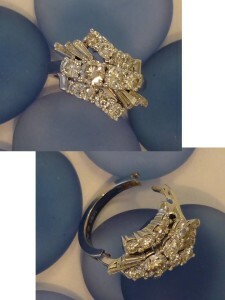 The ring that fits wonderfully in the winter may suddenly become too tight in the summer. Or when you work out. (Hot, perspiring fingers can expand up to 2 sizes). Stress, medications, pregnancy, hormonal changes, arthritis, weight loss or gain, injury, etc. 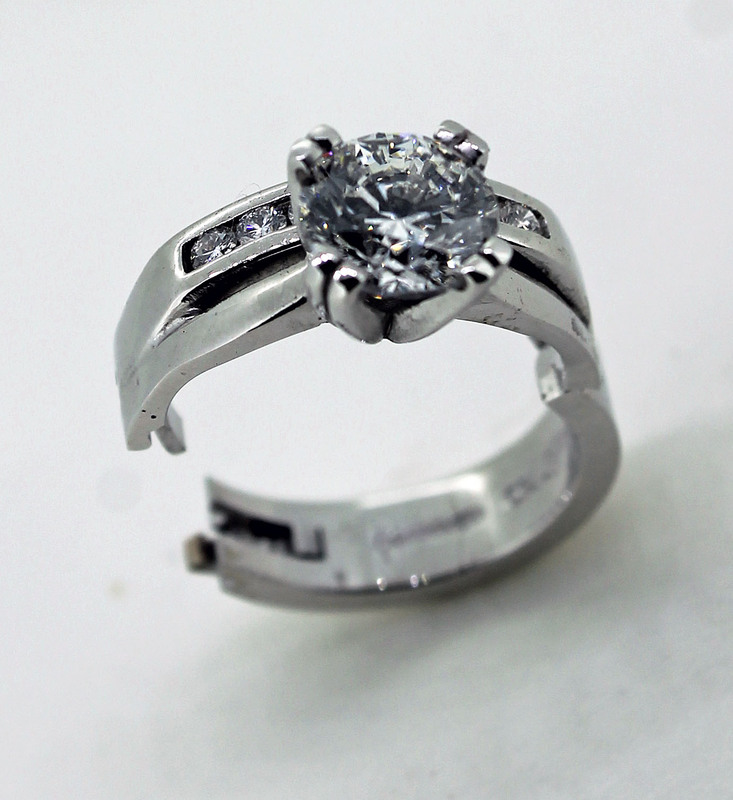 also affect the size of your finger and the way your ring fits. Imagine what it would be like to have a ring that opens. A ring that doesn’t have to be pushed over a reluctant knuckle. 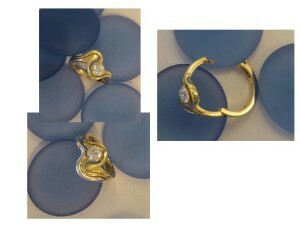 A ring that doesn’t twist or turn. A ring you can wear comfortably when you play tennis or golf. Or if you have swollen or arthritic knuckles. That’s what you’ll enjoy with Superfit. 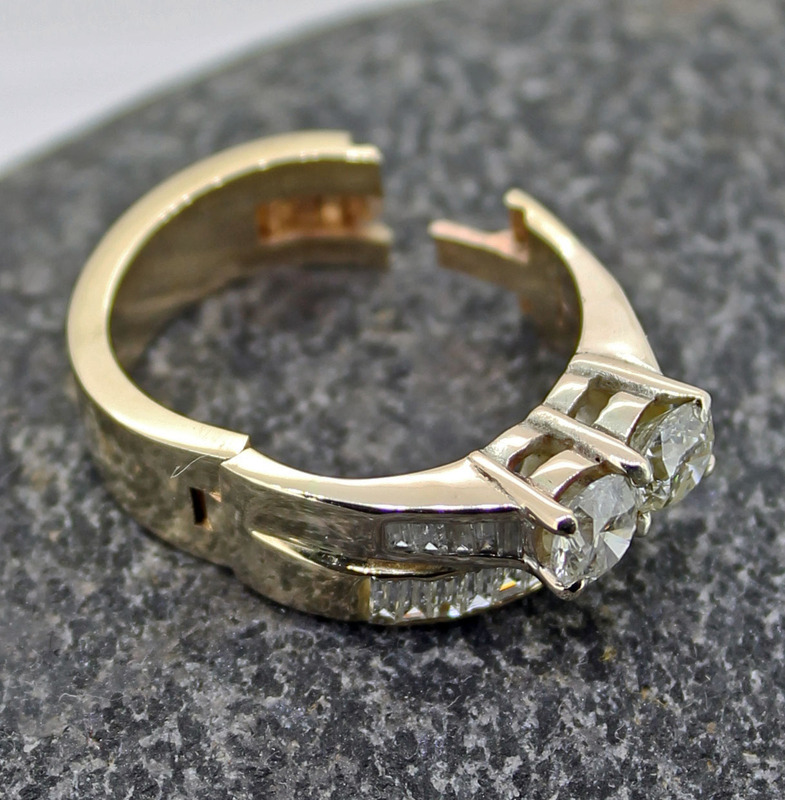 Superfit’s invisible hinged design allows your ring to open and close easily, safely and securely. 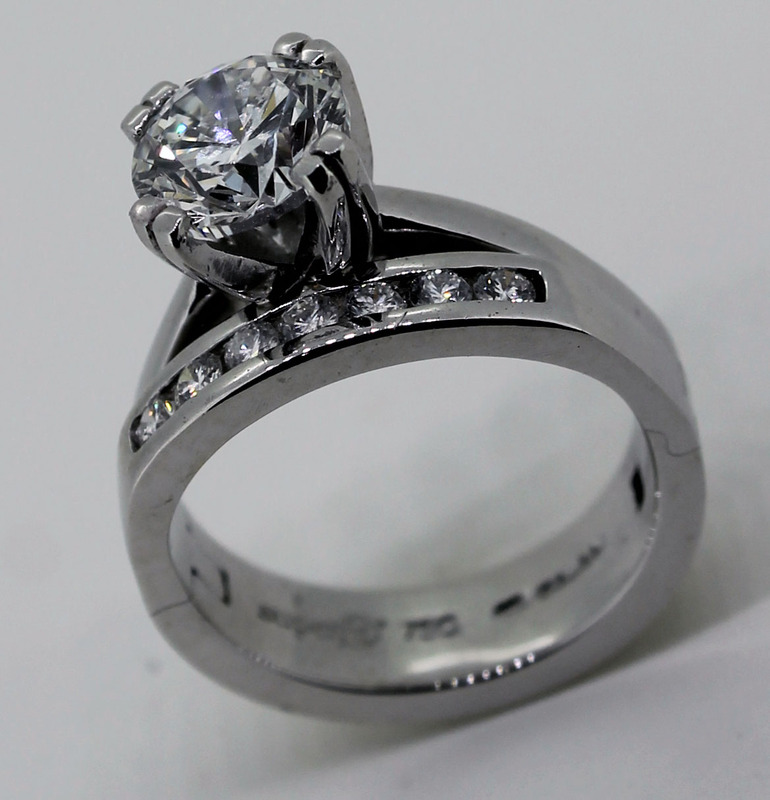 Superfit, Inc. is the exclusive manufacturer of a specialty ring for the jewellry industry. 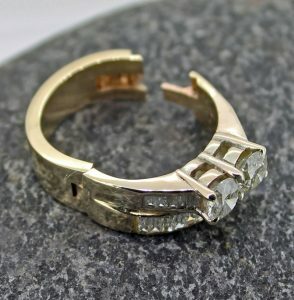 Founded in 1993, the Philadelphia, Pennsylvania-based firm’s unique product features an invisible hinged design that allows the ring to open and close. 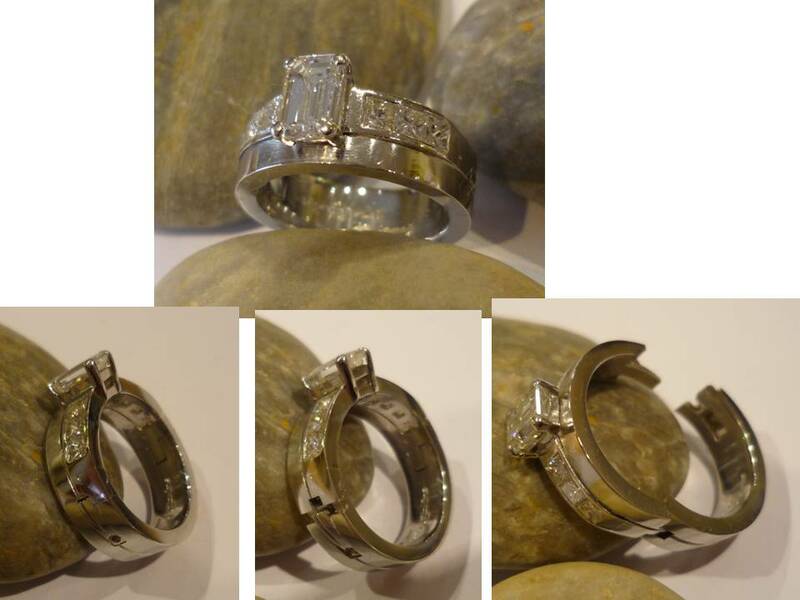 At Patricia Dudgeon designs you can see an example and can ask for advice on having your ring either made with the superfit shank, or having a ring you own put into a superfit shank. They are quite costly but are worth it if your much loved ring is shut away in a draw because you can’t get it over your knuckles. The example below is of a diamond platinum engagement and wedding ring that have been fitted onto one superfit shank.